FINCANTIERI YACHTS is an Italian luxury shipbuilder in Trieste, Italy. Originated in 1959, Fincantieri continues to specialize in superyachts ranging from 229′ up to 459′ (70m up to 140m) in length to create a vessel of sophistication and uniqueness custom to each client. 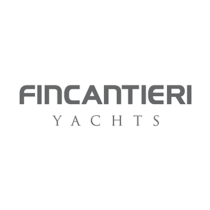 In true Italian style, Fincantieri yachts are masterfully designed and elegantly finished to the highest standards. Once the delivery of a custom superyacht is complete, Fincantieri offers two yards –La Spezia and Trieste – to handled servicing and maintenance. Fincantieri’s ability to build high-quality interpretations of their client’s desires is what distinguishes the yard as one of the best in the world. World-class new yacht construction by Fincantieri includes the 439′ (133.9m) SERENE, the 459.32′ (140m) OCEAN VICTORY, the 220′ (67m) DESTRIERO and more. As a premier luxury yacht builder, Fincantieri works with the world’s finest interior and exterior designers including Espen Oeino, The A Group, Pininfarina and others, to create a yacht with thoughtful precision and detail to the client’s liking. Browse the entire fleet of Fincantieri yachts for sale or find a Fincantieri yacht for charter below. For more information about Fincantieri yachts for sale and your own custom tailored yacht report, or to book a Fincantieri yacht for charter, simply contact the Merle Wood & Associates luxury yacht brokerage firm.